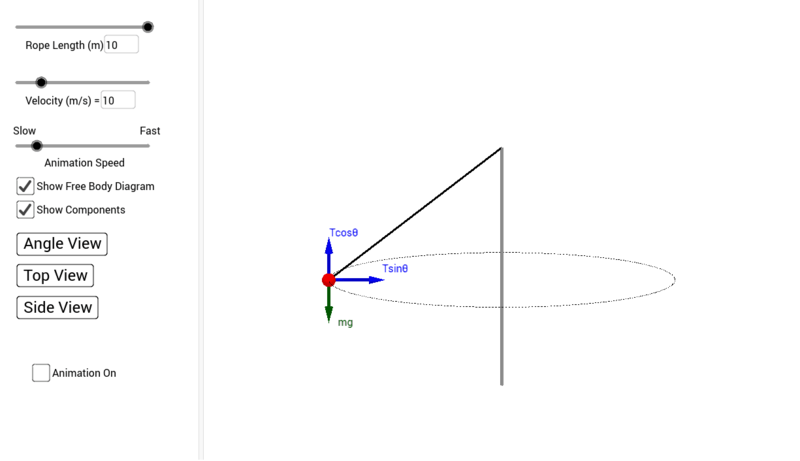 This is a simulation of a conical pendulum. Adjust the sliders to change the length of the rope, the speed of the ball, and the animation speed. Use the checkboxes to hide or show the free body diagram and the components. Use the buttons to change the view angle. Use the bottom checkbox to turn the animation on and off.